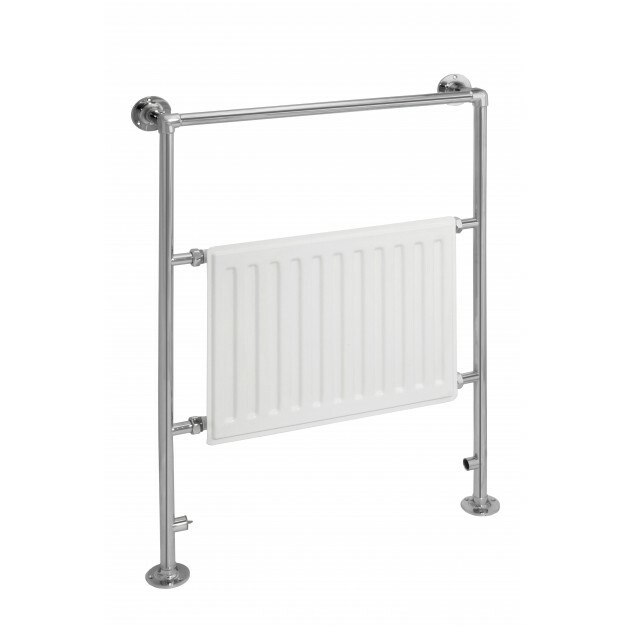 The traditionally styled Lantana Floor Mounted Heated Towel Rail features a steel constructed frame which is plated in a durable chrome finish Traditional Heated Towel Rails. 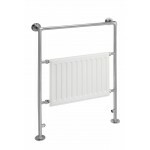 This stylish Lantana towel rail will add a touch of elegance to any bathroom. A wide range of online items, available in different shapes, styles and sizes. • Guarantee: 10 Year Guarantee. • Testing: Tested for complete safety standards. • Quality: 100% Quality Check ensured and leaks tested for requisite pressure. • Valves: Radiator Valves are not included with this product. • Material: Low carbon steel construction. • Testing Standards: Tested to BS EN442 standards ISO Certification: Manufactured by ISO9001:2008 certified manufacturer. • Compatibility: These Traditional Towel Radiators are Compatible for use on all UK heating systems. Here are the specification of Traditional heated towel rails & chrome heated towel rail that will definitely convince you to buy this product right at this moment.